Steve Power is responsible for core global Cisco activities within Customer and Partner Services (CPS) at Cisco. He leads the evolution and maintenance of Cisco core reference data (across customer, partner, installed base, sales coverage, and pricing). Steve is also responsible for the end to end operational actions supporting our Cisco seller compensation as well as the incentive payments to Cisco partners. To drive innovation, Steve is accountable across CPS for digitizing our operational customer service delivery through automation and intelligent routing through the World Class Customer Services program. In owning many core reference data systems, Steve is driving clarity of use by driving a co-ordinated approach to managing data across the enterprise, using data science and automation to simplify and automate the execution. 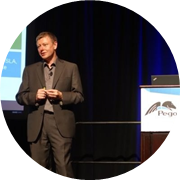 Steve is also responsible for evolving our Global Operations as a Service model which defines the direction, process and cost to serve of all of CPS services serving customers, partners and sales and is based on Product management practices. World Class Customer Services is a ground breaking transformation of an outsourced case resolution service into a digitized delivery service enabled by simplified and automated business processes, big data enabled recommendation engines , all combined into a redefined and digitally enhanced engagement model for customers and partners to get customer service help from Cisco. In his 17 years across Cisco and Hewlett Packard, Steve has led a number of functions in global operations, IT, sales and strategy, and spent 10 years in call center and branch management in financial services. Originally from the UK, Steve spent 3 years in Germany before being based in the US for the last 14 years.